If you aspire to do your Higher Studies abroad, you have probably devoted several hours to preparing for the best scores on your GRE, TOEFL or IELTS, right? But do you know that the admissions committee of almost every university also requires students to submit additional documents to get a better understanding of their background, work experience, perspectives and world view? These documents are the only subjective part of your application and carry as just much weight in your admission process as your scores. 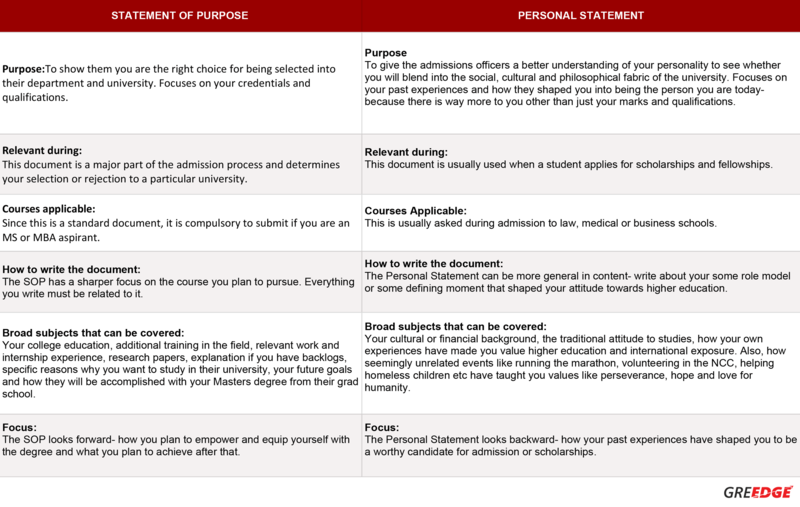 Your Personal Statement and Statement of Purpose are some of them. Most students are familiar with the Statement of Purpose or the SOP with most MS applicants to American grad-schools being asked to submit their SOPs at the time of applying. A Personal Statement is usually required by the Medical, Business and Law schools of most universities. However, PhD scholars have also often been asked to submit one too. If you are planning to do your Masters in the USA, chances are that you will only be asked to submit your SOP, but let’s not take chances! Let’s understand both, because many students have been so confused by the two, that they end up earning negative points in the admission process. So let’s delve right in! Your vision and future goals that you plan to accomplish after completing the course. You may have noticed how the contents of the SOP are centered around one particular course and university. Whatever you mention in your SOP must have a direct connection with the course you are going to pursue. You are introducing yourself as a prospective student. As you can see, this little excerpt is completely focused on how the student wants to enhance his profile from his stint in the university. He has mentioned not only the specific fields that intrigue him, but also the university’s incubators and vast pool of people he can network with to build his professional base. In the Personal Statement, you introduce more of the personality of the prospective student that you had introduced in the SOP. The contents in the Personal Statement are more general in nature. You try to give them an insight into your background, perspectives, work ethic and your attitudes towards work, research and higher studies. As you can see, this has no direct connection with the student’s grad school studies, but speaks a lot about his personality, his views on education and his own personal hurdles which he had to overcome. Your SOP and Personal Statement focus on two different things but the ultimate aim is to portray you as the right choice for the university. Please remember that though they both have subtle differences, ultimately both of them must show that you have a positive attitude, are passionate with a never- give-up mindset and are ready to learn from mistakes, and are not tied down by setbacks. It must be noted that sometimes, the requirements for the Personal Statement and the SOP vary from university to university. 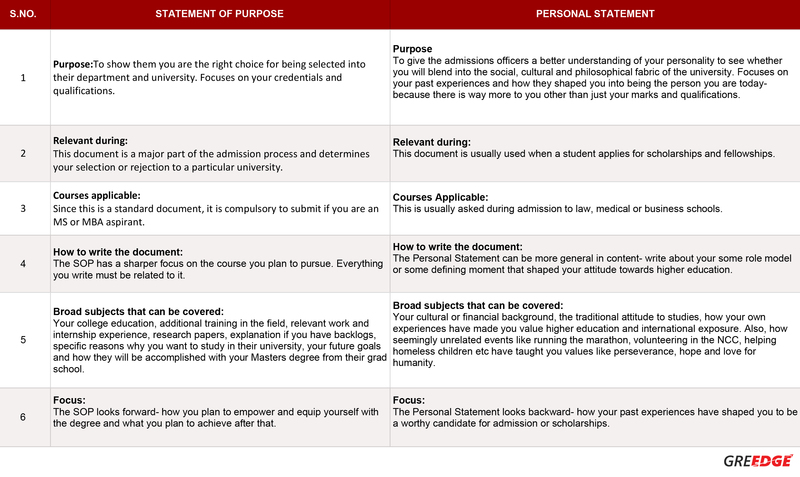 You should shape your SOP and Personal Statements according to the criteria specified by the university, but this article should give you a general idea on how to go about it. We hope we’ve been able to clear the confusion you had on the subject! If you have any further queries about writing a winning SOP and Personal Statement, do let us know in the comments below, and we will get back with answers as soon as possible! 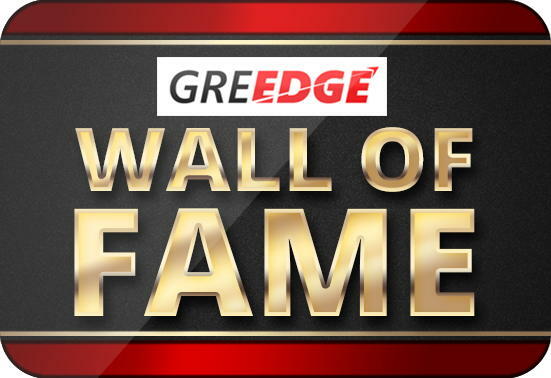 Next story MS Abroad: When should I give GRE and TOEFL?